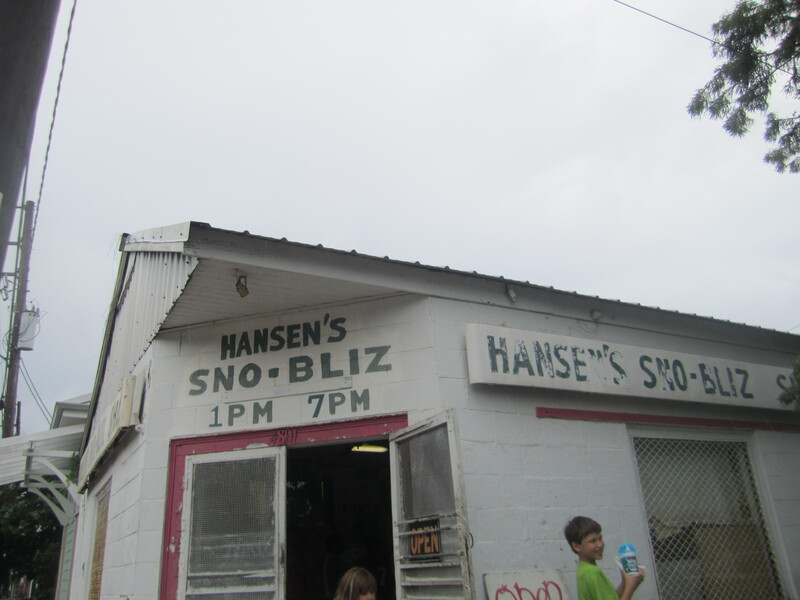 Hansen’s Sno-Bliz is an institution in New Orleans. 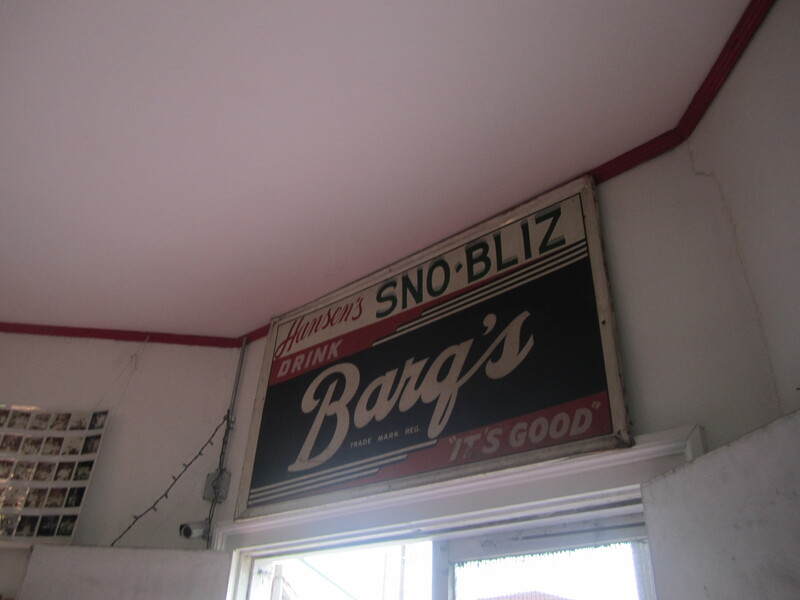 What is a sno-bliz? 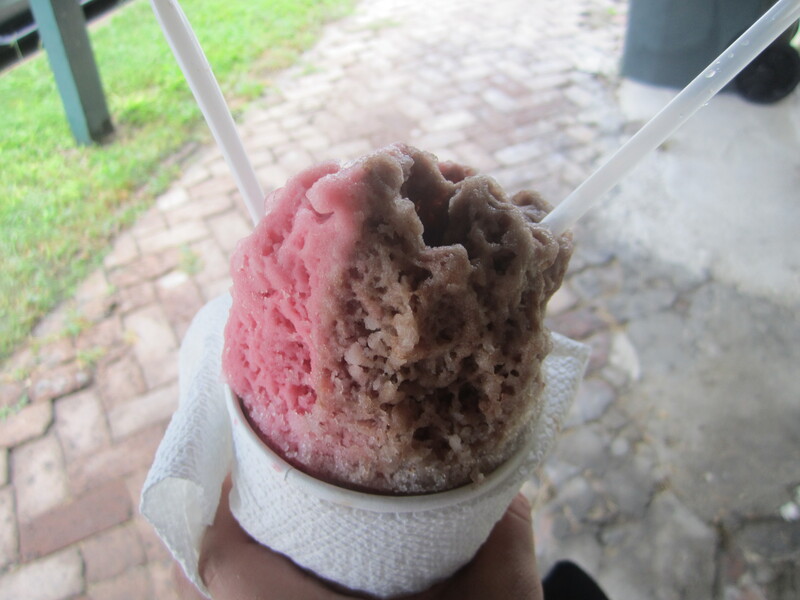 The best version of shaved ice. It was started by Ernest and Mary Hansen in 1939. 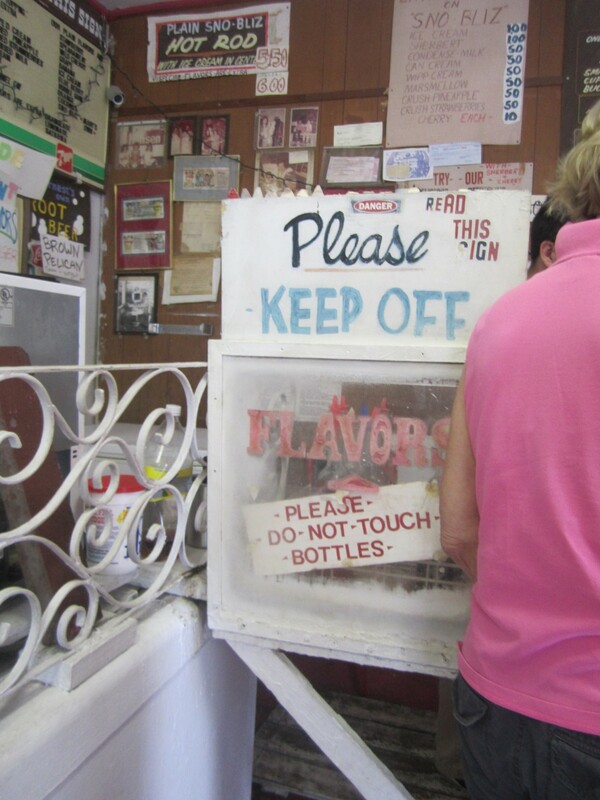 Ernest Hansen invented the first ice shaving machine and Mary created her own flavored syrups. During the summer season, the store is open 1-7pm, rain or shine. We took the cable car all the way to the Garden District and walked and it was a worthwhile. 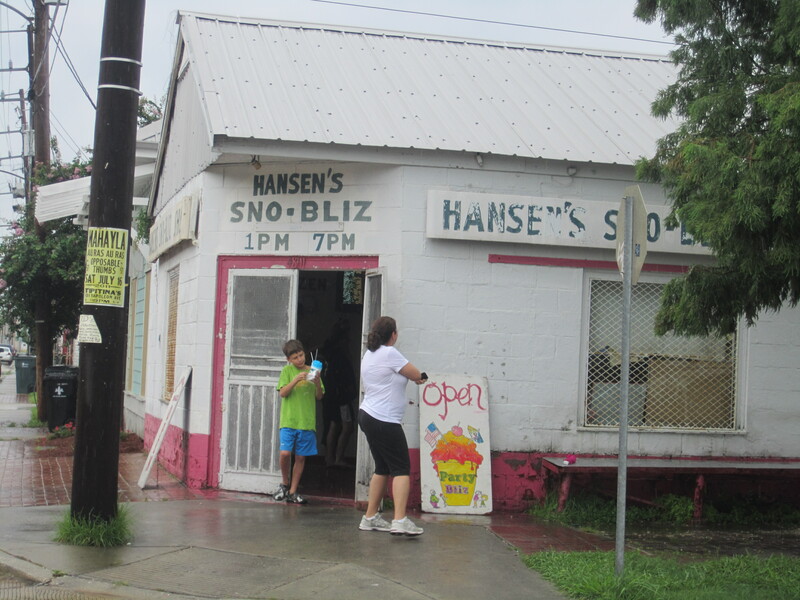 There really is not much in the area, but Hansen’s is next to a bookstore to seek protection from the rain. After our treats, we took a cab home. 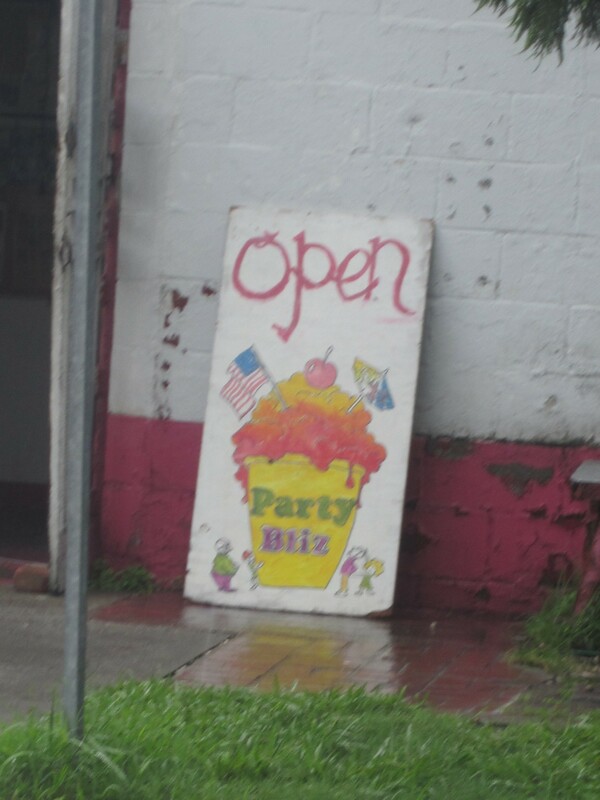 Loved this playful, colorful sign. Kids leaving the store were giggling and thrilled with their blue colored treat. 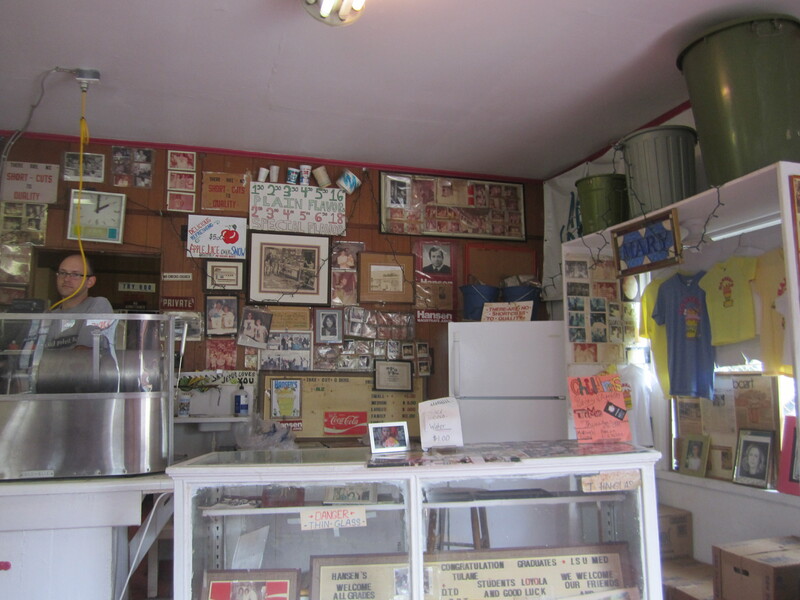 Inside the store were so many photos and other paraphenalia. There were so many flavors to choose from including blueberry, chocolate, strawberry, coconut, almond, peach and nector syrups that we had a difficult time deciding. 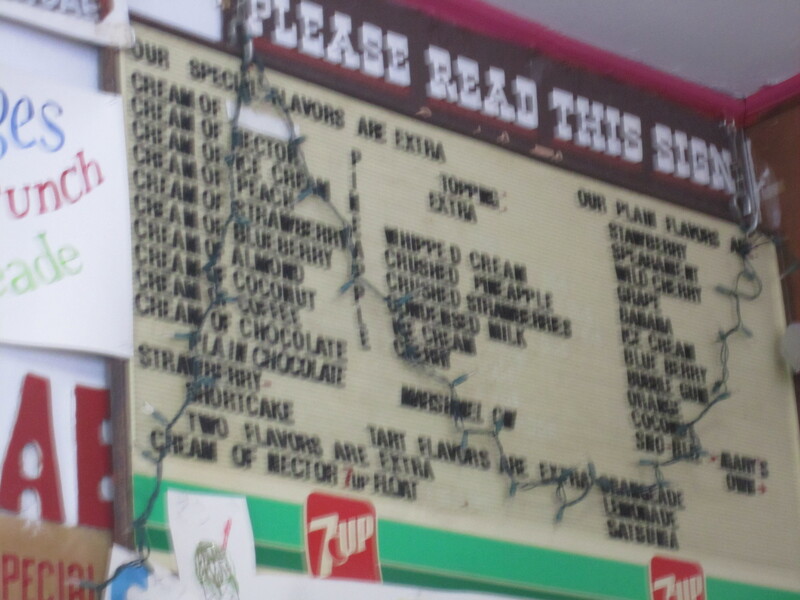 After ascertaining the opinion of the counter staff, we chose half cream of chocolate and half cream of strawberry. 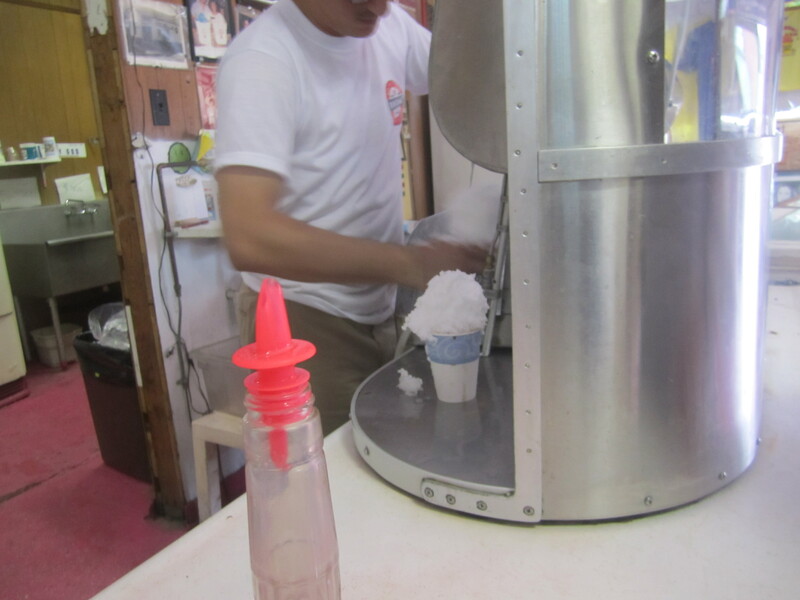 The cool machine whirled the ice into light ice shavings. 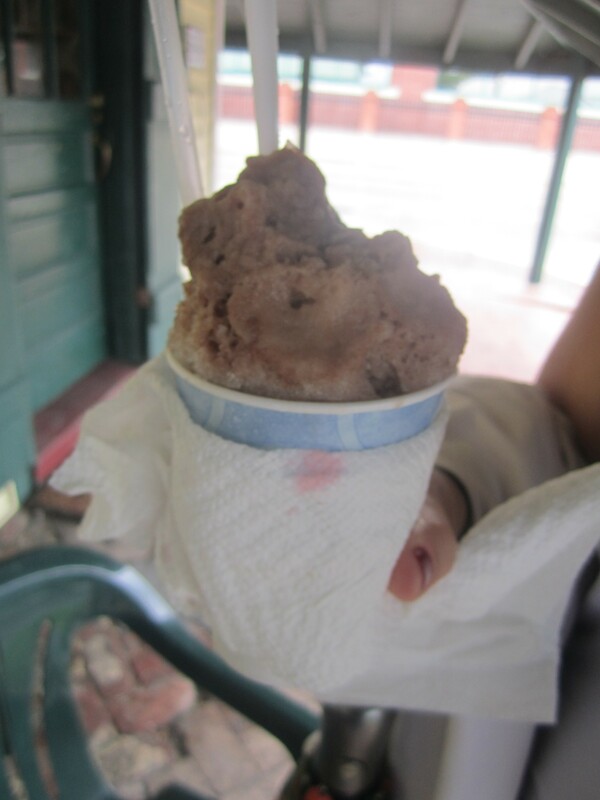 The cream of Chocolate and Cream of Strawberry reminded me of a light napolean ice cream.